Table in two heights with two possible top dimensions. 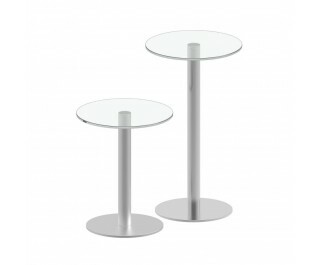 Demountable frame with base Ø 48 cm and central tube Ø 80 mm in satined stainless steel. Top in transparent extraclear glass, 10 mm thick. Tempered glass on request. Only frame available.